In 1993, University of Delaware Track and Field Coach, Jim Fischer, proposed establishing a Hall of Fame to honor the people that had brought fame and recognition to the State of Delaware through participation in track and field. On January 24, 1994, Tom Fort called to order the initial meeting of the Delaware Track and Field Hall of Fame organizing committee. Others in attendance were: Jim Fischer, Bill Crowther, Jim Flynn, Bob Siemen, Tom Hickman, Bob Neylan, Bruce Hubbard and Bill Martin. 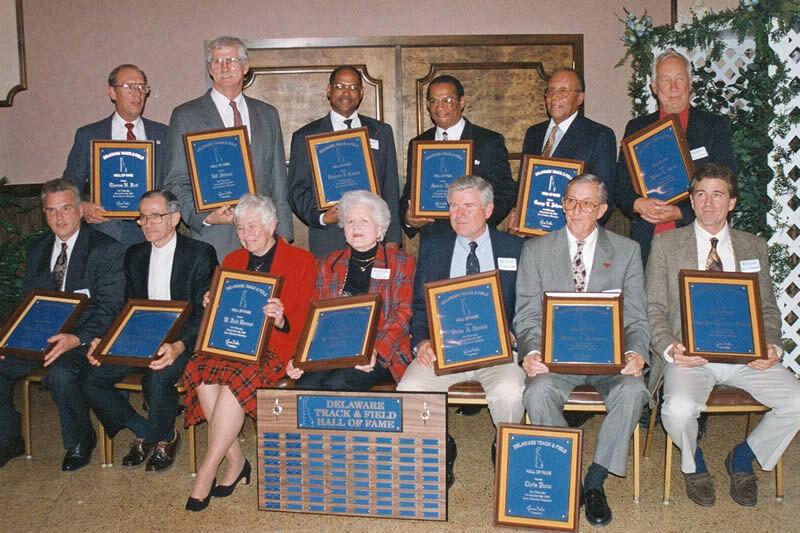 From this beginning, after several meetings, came the establishment of the Delaware Track and Field Hall of Fame, organized to perpetuate the memory of Track and Field and Cross Country athletes who have brought lasting fame and recognition to the state and others who have made significant contributions to the sport. Others involved in those early meetings were: Bill Thomson, Anne Thomson, Spencer Henry, Rod Lambert, Larry Pratt, Joe Burden and Kevin Tresolini. In addition, George Johnson and Bill Gerow provided valuable assistance based on their long term involvement in Delaware track and field. The by-laws were adopted on April 18, 1994 and amended on September 6, 1994. The induction ceremonies are held the Tuesday before Thanksgiving each year.